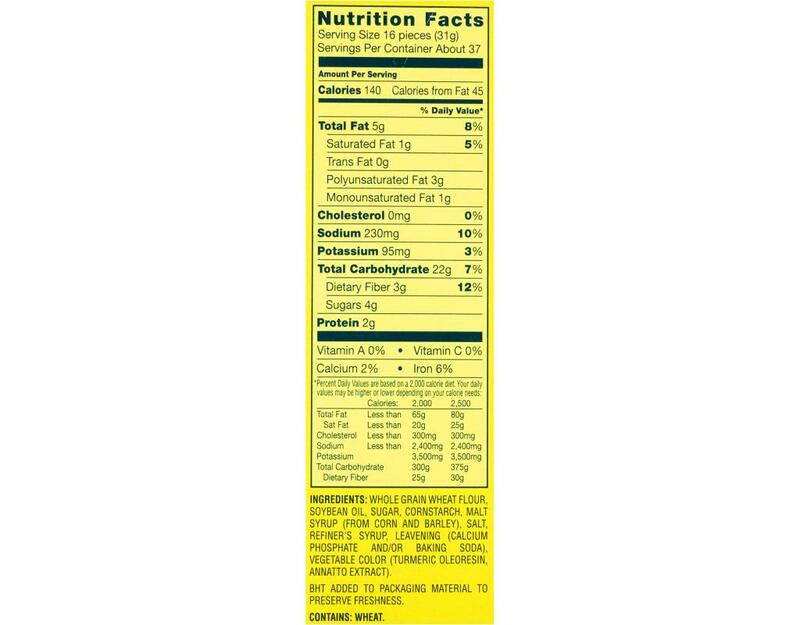 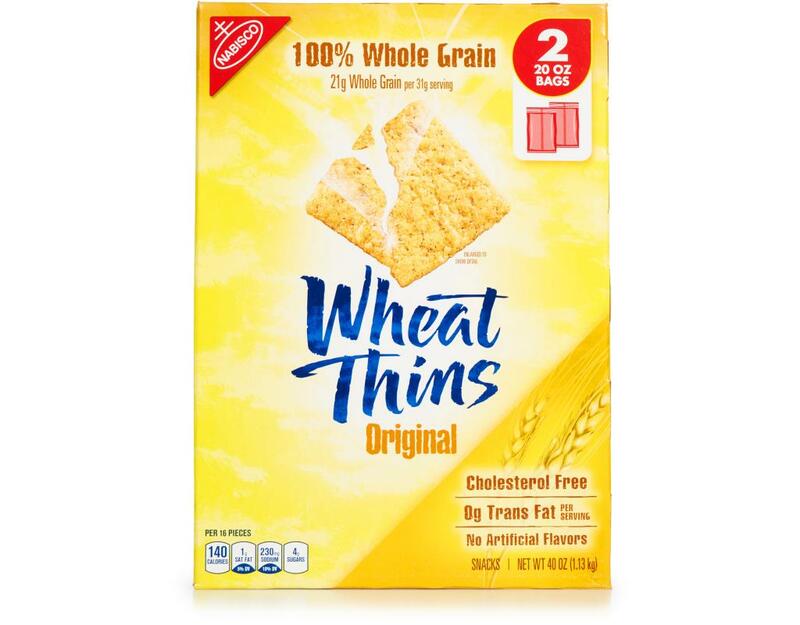 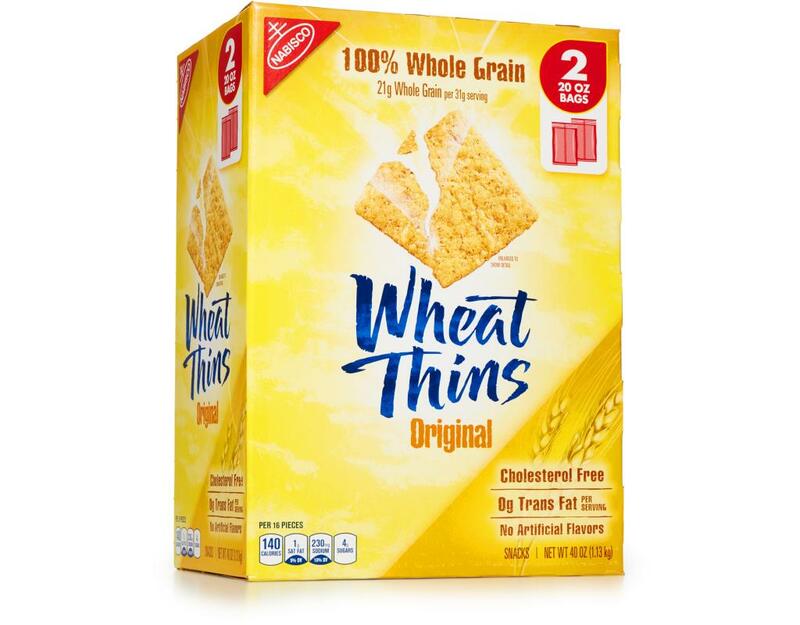 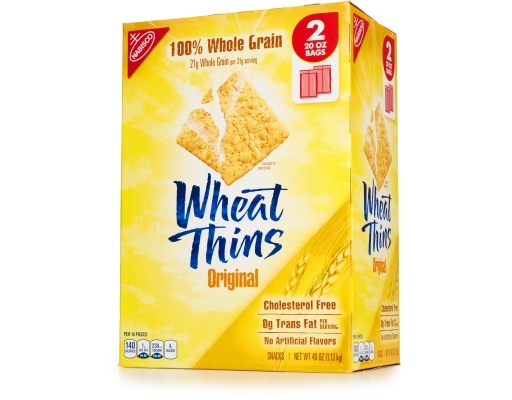 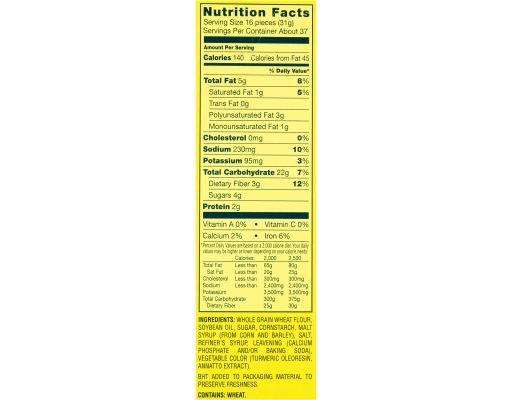 Nabisco Wheat Thins Original Crackers provide a healthier alternate to high-fat snacks. 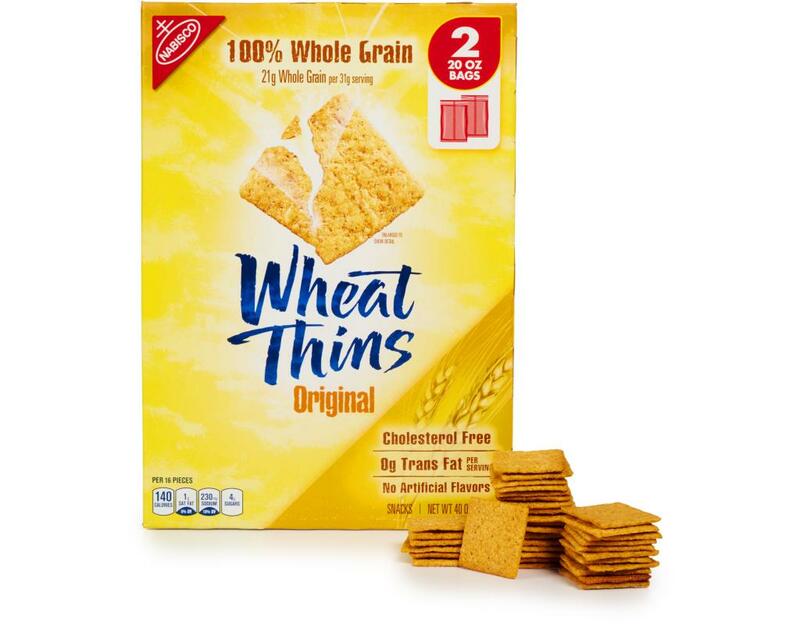 These crackers are made with whole grain wheat, and contain B vitamins and iron to add to their nutritional value. These whole grain crackers are cholesterol free, and baked, not fried. 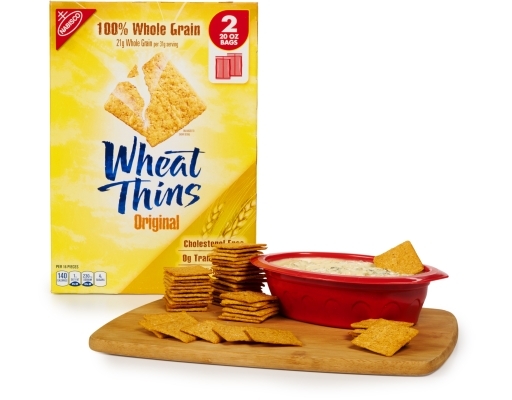 Crunchy and tasty, Nabisco wheat crackers make a wholesome snack to munch on. 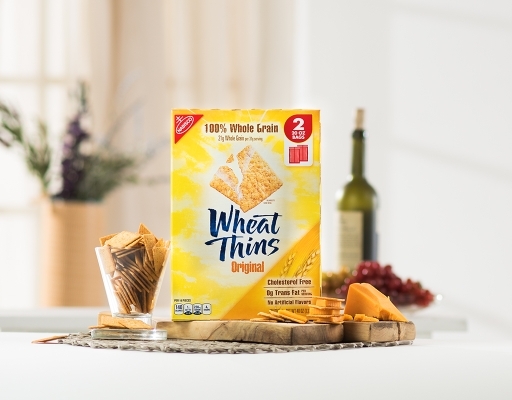 BHT Added To Packaging Material To Preserve Freshness.